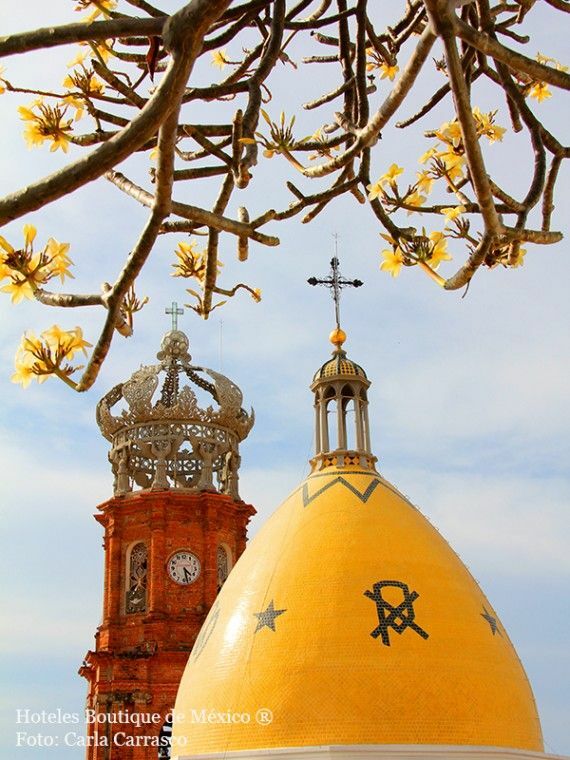 Puerto Vallarta – the romantic city on the Mexican Riviera – the traditional Mexican village – the city of grand hotels and cobblestone streets – if ever there was a town full of beautiful contrasts, that town is Puerto Vallarta. 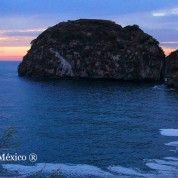 A visit here provides a direct experience with warm Mexican hospitality and authentic culture. 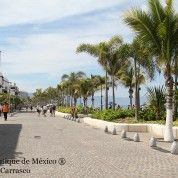 The downtown area, with its narrow cobblestone streets has the feel of a small Mexican town with white houses, red clay tile roofs, and streets and balconies adorned with flowers, ferns and colorful tropical trees. 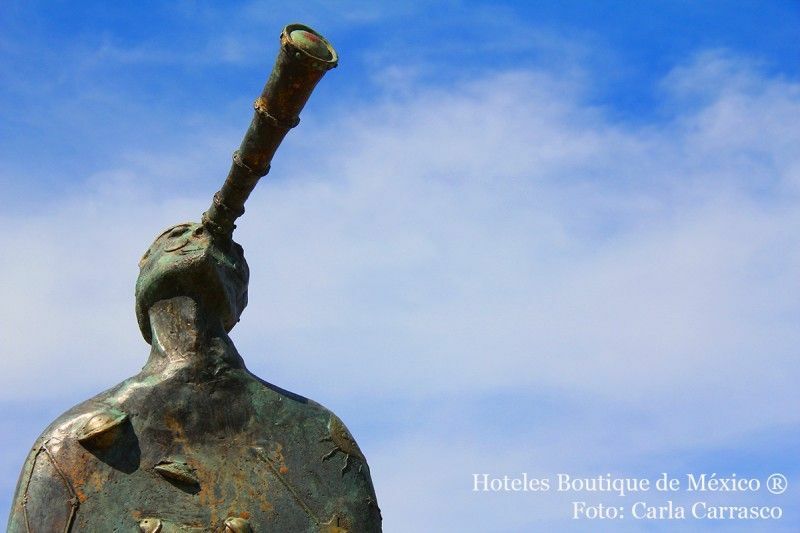 Small luxury and boutique hotels can be found both within the city and to the north and south of Puerto Vallarta. Luxury homes are also available to rent as well at Costa Vallarta Boutique Villas (costavallartaboutiquevillas.com). 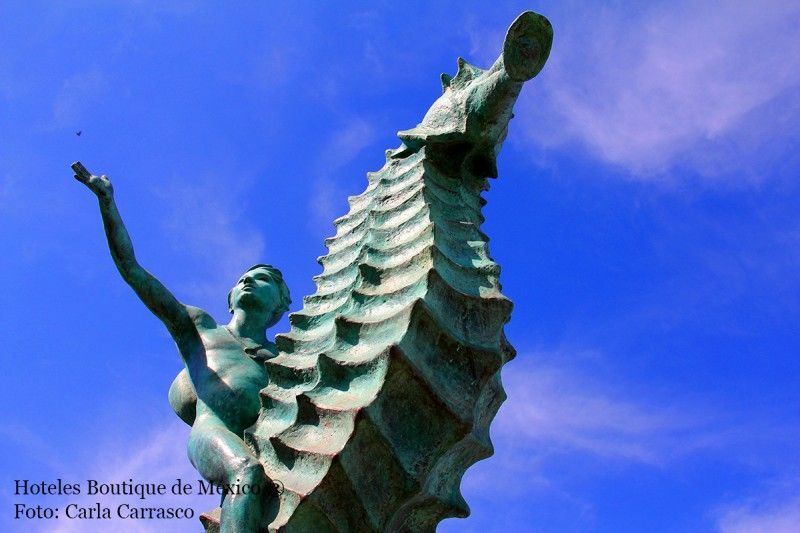 Puerto Vallarta has a history that includes Indians, silver shipping, explorers and pirates and gradual growth until a movie catapulted the town to international fame in 1964. Set on the shoreline of the second largest bay in the Americas with the green foothills of the majestic Sierra Madre at its back, Puerto Vallarta is the heart of a resort region that includes the entire Banderas Bay. To Punta de Mita – 40 km – 21.6 mi – 40 min. To Guadalajara – 335 km – 208.15 mi – 4:12 hrs. 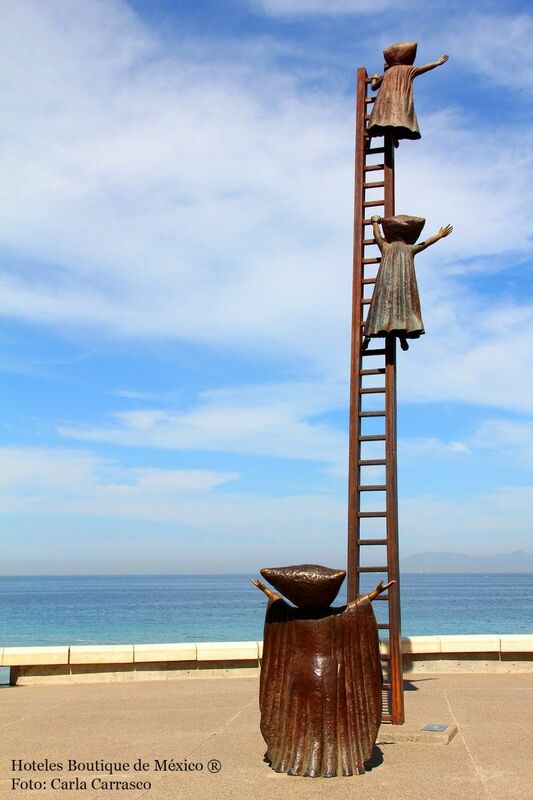 Most major airlines fly into Puerto Vallarta daily, making it one of the most accessible destinations in Mexico. First class buses and smaller national airlines also provide transportation from major cities such as Guadalajara or Mexico City. The port also receives major cruiselines such as Carnival, Royal Caribbean, Princess, Holland America and several more. Taxis are readily available from hotels and on every street corner. Cars are not suggested for downtown Vallarta as parking is scarce. City buses abound and walking is often the best option once you are in the downtown area. The Puerto Vallarta restaurant dining scene is so surprisingly diverse and extensive you would have to go to a different restaurant every day for over a year to try them all! 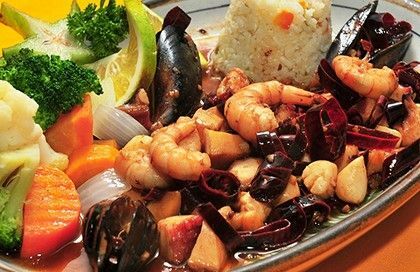 Naturally, Puerto Vallarta is a great place to discover the amazing variety of Mexican dishes, as well as succulent seafood, fusions of popular cuisines like Mediterranean and Oriental, gourmet French; the list is endless. And whatever your mood and pocketbook, there´s an ambiance and location to suit, stellar views often accompanying memorable meals. 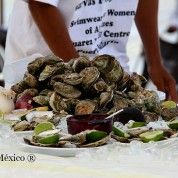 There are two wonderful restaurant events held each year in Puerto Vallarta; the Festival Gourmet in November and the Vallarta Lifestyles Restaurant Week in May. At the Festival more than 30 local restaurants invite a national or international chef to take over their kitchen for 10 days. During Restaurant Week restaurants substantially discount their menus for a two week period. 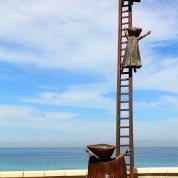 Two more great reasons to come to Puerto Vallarta! Everyone finds shopping in Puerto Vallarta fun because it´s so varied, not only in what you can buy, but in where you can find it. 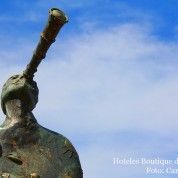 Distinctive art forms from all over Mexico await discovery in both ultra-modern and very traditional stores and galleries tucked intriguingly throughout Puerto Vallarta. The Municipal Flea Market with its bevy of colorful stalls is a tourist must, as is the downtown Malecon and the streets surrounding it, eye-poppingly rich with galleries, jewelry stores and designer shops specializing in casual wear. We´ve got several shopping centers, department stores and supermarkets, as well as a traditional outdoor food market. And pharmacies – some open round the clock – sell many drugs over the counter that would require prescriptions up north. 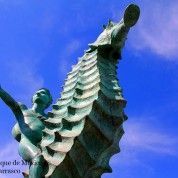 Puerto Vallarta is sunny and beautiful all year long and has tourist activities everyday of the year. During the high season from November to April, when the tourist population is at its highest, the daytime temperature ranges from 75 to 85 F (24-30 C). During the summer months (May to October) the weather is hotter and more humid, in the high 80´s and low 90´s F (30-32C) with 95% humidity. Concerned about hurricanes? Puerto Vallarta has only had one serious hurricane in the last 35 years. 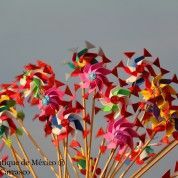 Puerto Vallarta is synonymous with fun! Visitors can choose from an abundance of activities, from excursions to secluded beaches, floating parties, scuba diving expeditions and romantic dinner cruises to hiking, biking, eco-tours, swimming with dolphins, whale watching and 4-wheeling. How about parachute rides over Banderas Bay or a quick plane ride to a mountain village for lunch? 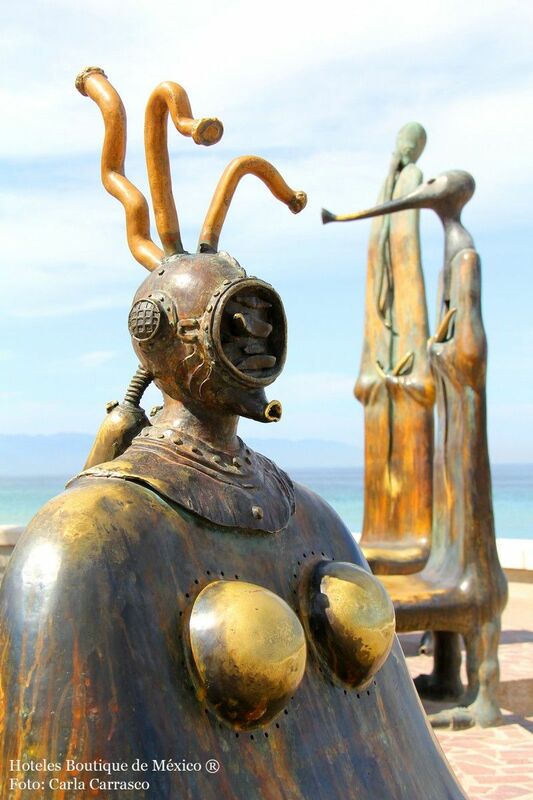 Puerto Vallarta is also known as an artists´ mecca with its world-class galleries and organized evening art walks. There is always something exciting happening in this lovely tropical city. 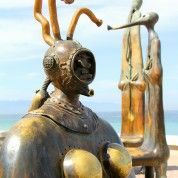 Dozens of galleries showing the work of local and international artists and "Art Walks" from November to April make the city an art-lovers´ paradise. Golf is becoming a way of life here on the Mexican Riviera. Picture teeing off in the tropical breezes of Banderas Bay or the Pacific Ocean, courses lined with palm trees and vibrant tropical flowers, personal bilingual caddies and beautiful clubhouses with open-air dining and views of the greens. Think of pro shops equipped with everything you need or want and state-of-the-art courses that offer an optional 19th hole on an island. Condo-side courses, beachside courses, resort courses, private courses, public courses are what make golf in Puerto Vallarta. There are so many activities that the whole family can enjoy while in Puerto Vallarta. During the day, numerous options are available for snorkeling trips, whale watching (December to March), horseback riding, jungle tours and so much more. During the summer months, lucky travelers can participate in turtle programs that help send off recently born baby turtles to the sea. There is also a water park with slides, games, animal shows and swimming with dolphins. 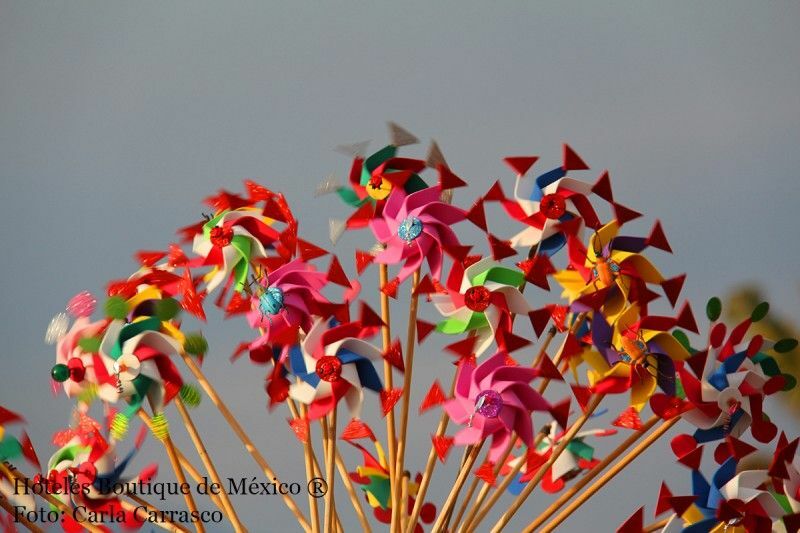 Several hotels offer Mexican Fiestas with delicious Mexican specialties, a folkloric ballet, games and piñatas. If your family is into more extreme sports (and all are over 6 years old), you can experience the jungle canopy adventure and even do some rappeling. 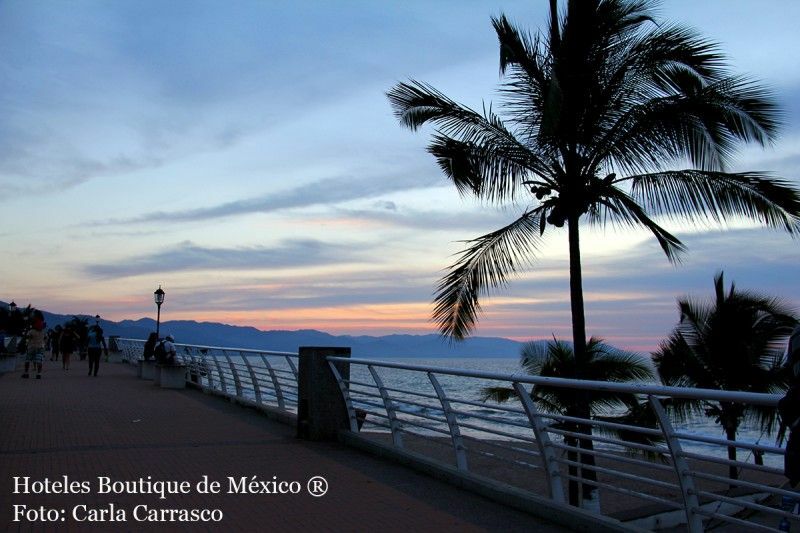 Even a simple walk along the malecon (boradwalk) as the sun goes down can be a great family activity. It is always animated and entertaining. South of Puerto Vallarta, small villages are accessible only by boat. Tours and charters visit the tiny beaches of Las Ánimas, Quimixto, Majahuitas, Yelapa and the nearby island ecological reserve. Whether you feel like flying over the bay in a small airplane, swimming with dolphins or touring fabulous villas, you will be pleased with the enormous variety of things to do. Fish for marlin, tuna, dorado or sailfish. Explore the jungle on foot, horseback, mountain bike or jeep. Whale watching: Each winter season a growing number of travelers enjoy excursions to view the migrating Humpback whales in Banderas Bay. From December to April, these gentle giants can be seen breaching out of the water as parents instruct their baby calves in the ways of their watery world. Local eco-tour operators are licensed by the National Environmental Agency to assure respectful watching of these magnificent mammals. At the Lienzo Charro Manuel “Prieto“ Ibarría. Competition of the best Mexican teams. Banderas Bay fills with sails as a series of regattas takes full advantage of the gentle breezes, clear skies and calm waters surrounding Puerto Vallarta. Party with masks, kids parade in the streets. 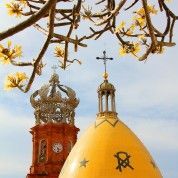 Spring is for Seniors: Senior travelers are offered an extra special welcome to Puerto Vallarta during these spring months. Hotels offer special rates and value packages, the town puts together an extensive calendar of activities, concerts, events and excursions geared just for seniors. In addition, many shops and restaurants offer discounts just for those over-60 travelers enjoying Vallarta during springtime. Traditional fair, complete with midway games and attractions, livestock, exhibits, food, drinks and entertainment. 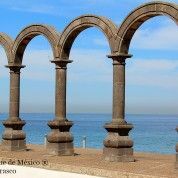 It is held in El Pitillal; across from the cruise ship terminal. A full schedule of art exhibitions, music, folkloric ballet, theater, symphonic band, Mariachi bands. Sports tournaments with players from different countries. Sea Turtle Preservation Months: Puerto Vallarta has implemented a community-wide preservation program that combines protected nurseries for turtle eggs with educational projects. Turtle liberation ceremonies are held daily during the season at participating hotel beaches. In addition, Vallarta eco-tour operators host nighttime tours to research camps designed to protect the eggs, where visitors witness sea turtles laying eggs in their natural habitat and the release of the baby turtles as they make their initial voyage to the sea. Puerto Vallarta´s coastline is among the most important breeding grounds in the world for numerous endangered species of sea turtles. The Puerto Vallarta Sea Turtle Protection Project is a joint effort of the Puerto Vallarta Hotel Association, city government and federal authorities. Each November, the exceptional Festival de las Artes takes place, featuring a month-long series of art gallery shows and open-air, beachside theater performances. An impressive range of artwork is displayed from artists throughout Mexico. All events are free to the public. 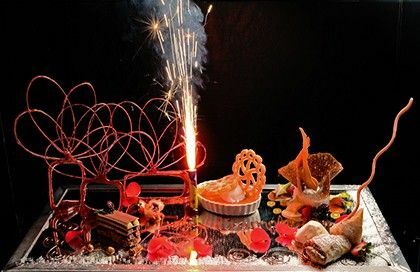 Mexico´s premier culinary event serves to showcase a spicy blend of culinary talents between the local chefs at participating restaurants and guest chefs from throughout the world. One of the most prestigious tournaments on the West Coast hosts hundreds of coastal and inland fishermen from across the globe. Prizes are awarded to the boat with the largest sailfish, marlin, wahoo and dorado caught that comply with local regulations. 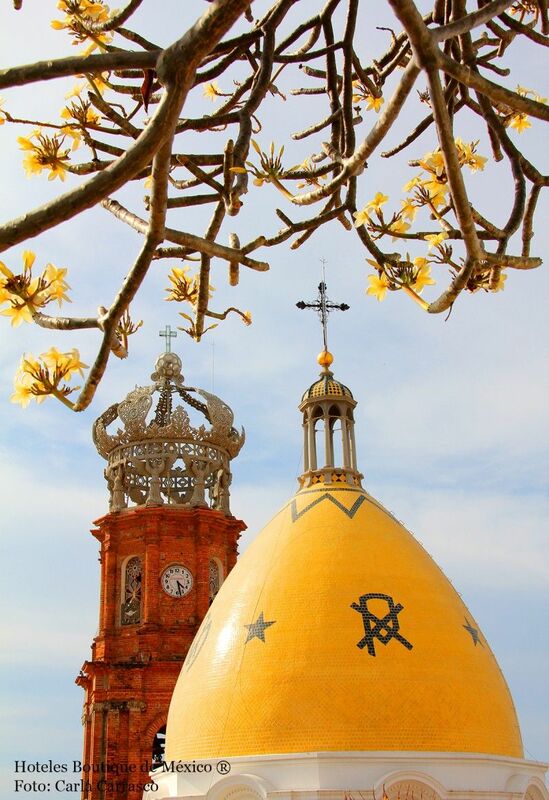 During these twelve days, processions to the downtown cathedral that bears the name of the patron saint of both Puerto Vallarta and of Mexico take place. Almost every business, hotel, restaurant, neighborhood and civic association makes a procession to the church for a special mass they have devoted to the Virgin. For the larger groups, these processions resemble a small parade, with folkloric dancers, floats, singing and even fireworks following their brief mass. This important religious and social holiday marks the day the Virgin Guadalupe made her miraculous appearance to a peasant in Mexico. The processions (see above) culminate on this day, when fireworks abound and the central plaza is filled with street vendors selling fruits and other local specialties. All over Mexico, families, businesses and neighborhoods celebrate the holidays with parties known as “posadas.” This tradition is a re-enactment of Joseph and Mary´s search for lodging in Bethlehem. Candlelit processions are formed to designated houses where the participants ask for lodging through a melodic song. The host will refuse several times before finally opening wide the door, signifying the start of the party. The main Christmas celebration is a traditional family dinner on Christmas Eve, followed by Midnight Mass. Downtown, divided in half by the Cuale River, is filled with restaurants and shops. 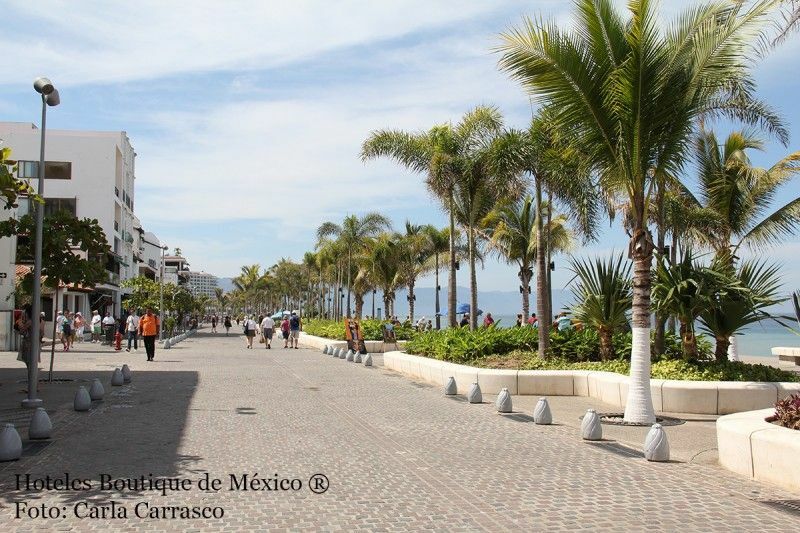 The western edge is the boardwalk (malecon) with the bay on one side and discos, boutiques and restaurants on the other. 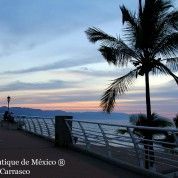 In the northern part of the city is Marina Vallarta with several Gran-Turismo hotels, upscale shops, art galleries and a 500-slip marina. Between these areas is the Hotel Zone, with dozens of beach hotels and even more restaurants. 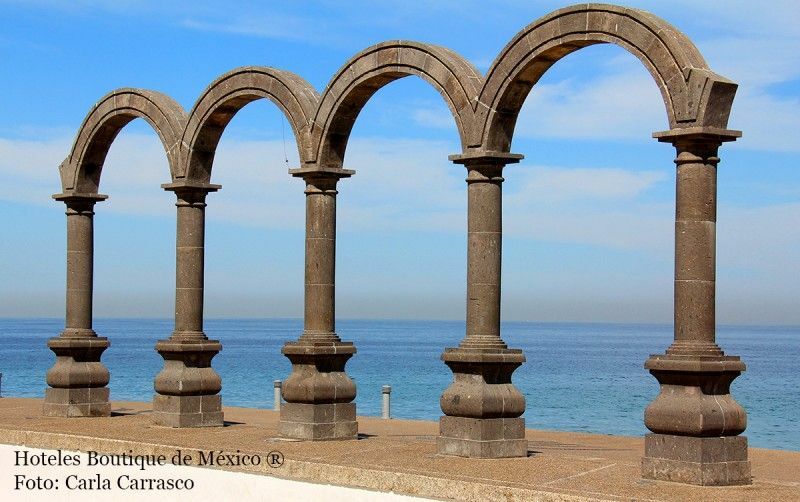 Who would Puerto Vallarta appeal to? Families, Spa enthusiasts, foodies, adventure seekers, golfers, nature lovers, sun worshippers, art hunters and nightlife aficionados. www.virtualvallarta.com General Information on Puerto Vallarta. www.vallartarealestateguide.com Puerto Vallarta real estate information.